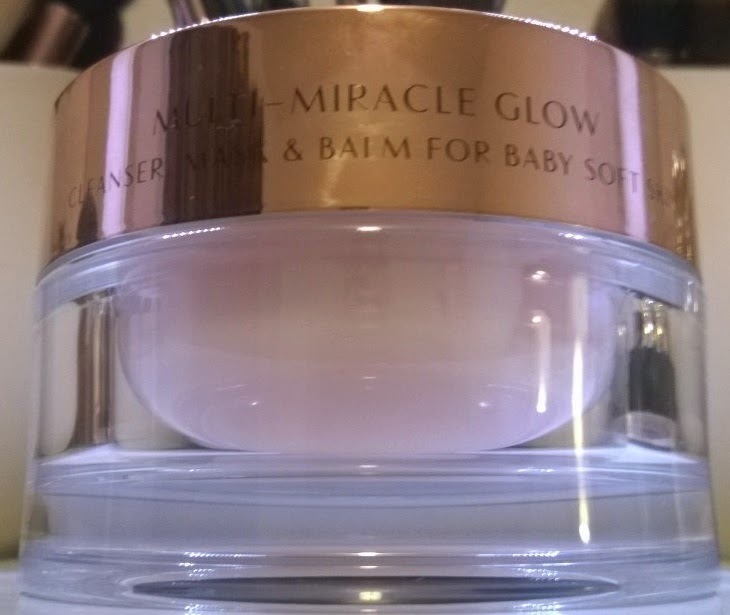 For today's Mondays with MontyC, I'm revisiting the Charlotte Tilbury range of products with a new pot of wonder I bought recently, her Multi-Miracle Glow cream, which she describes as a "cleanser, mask and balm for baby soft skin". Before I go any further can we talk about the size of this pot?! It's flipping huge. It takes up almost the entire palm of my hand! It's a cleanser... and a very lovely cleanser at that. I've used this as both a first and second cleanse (first to take off my makeup, second to clean my face). I found that it works well for both, particularly as a second cleanse or as my morning cleanser. It does remove a "normal" amount makeup, but I do find, on those days I wear a lot of makeup and/or fuller coverage, and/or waterproof mascara, I may need a thicker, heavier duty balm cleanser than this to remove it completely (Eve Lom or Emma Hardie to name my two favourite). It's a mask... this makes a beautiful mask! On clean skin, I just apply a thick layer of this, leave it on for ten to fifteen minutes, then wash it off with my facecloth. My skin feels really relaxed, comforted and soft (when she says baby soft, she really does mean it) when I use this. It can be left on overnight if you feel like it (great thing to do if you're having a hormonal/hungover/stressful/sick day) - in this case, I've applied a thinner layer earlier in the evening, and then every now and then, massaged-in any excess product. The following morning - hello divine, super (baby) soft skin! It's a balm... I do find that a "little goes a long way" with this stuff, so I would advise that if you're going to use it as a balm, just take a tiny amount, rub it in and then see if you need more. Sparingly is the trick; if you use too much (even though it feels light, it's quite rich) it remains a little tacky on your skin. I've used it quite happily and successfully on my hands, the backs of my heels (which get super dry) and my elbows. 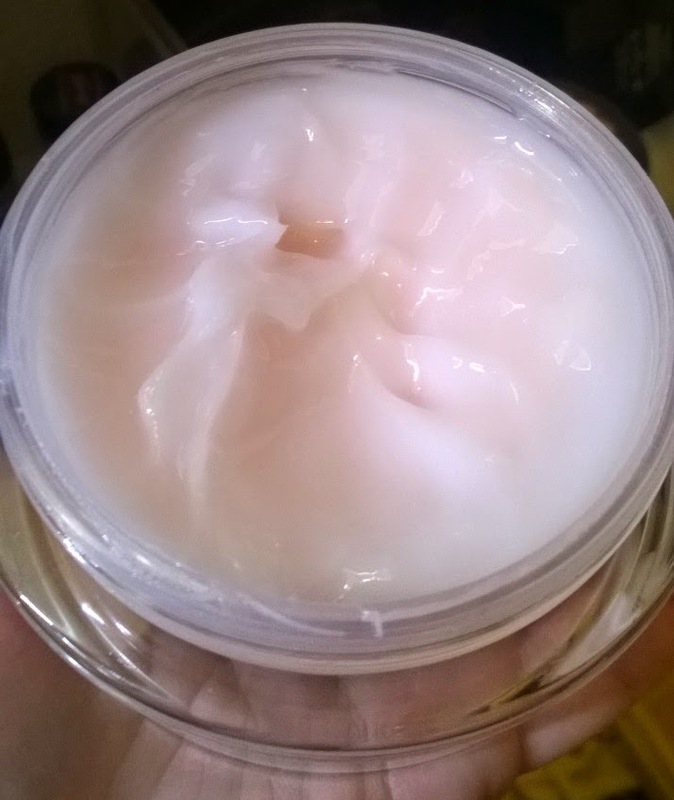 Texture-wise, this is a gel-like product that feels light to the touch and retains its gel-like texture regardless of how it's used (I think it would be great for facial massage) so there's plenty of slip when needed. The one word that comes to mind again and again with this product is "comfort". 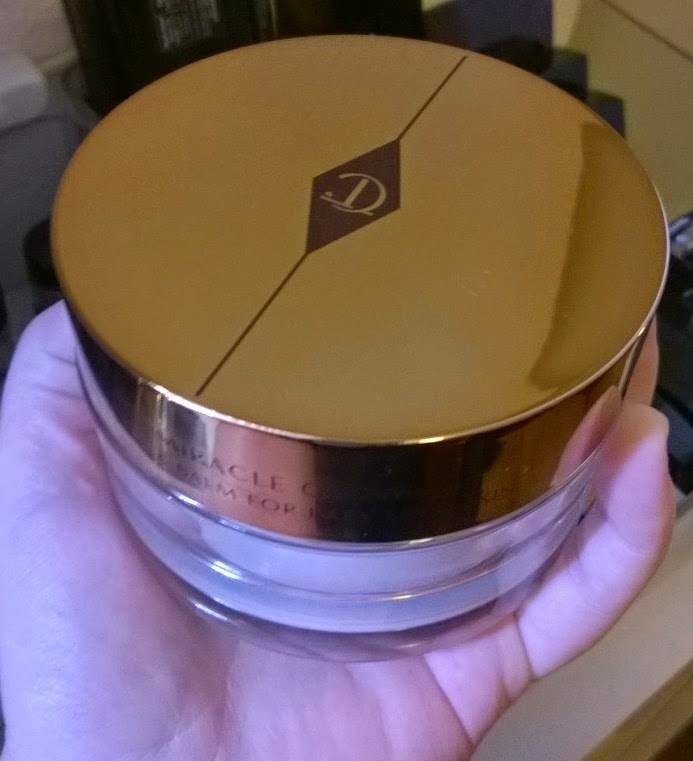 Regardless of how I've used it, my skin felt really comforted, rested and relaxed. Because it's a multi-purpose product, it would be fantastic to travel with, mind you, given the size of the pot, you'll need to decant a little into a smaller pot first! Scent-wise, there's a reasonably strong enough fragrance to it but it's by no means overpowering and it definitely does fade. Mr. MontyC described it as "medicinal". I would say "medicinal with a hint of rose" :-). I really like it, but smells are a very personal thing. Reviews of this balm are few and far between and I'm not sure why; it's a gorgeous product and I love the fact that it can be used in so many different ways. I also think if you're new to world of balm cleansers and fancy trying one out, then you won't go wrong with this as your first port of call. For reference this is a 100ml pot and costs €59. My love affair with Madame Tilbury's range continues. Recommended.